Few cruise lines venture over to Africa. And even fewer provide the detail that Seabourn offers. Grouping its Asian and African itineraries together, Seabourn plans its itineraries not by popularity but history. Ancient trade routes used for centuries trace the coasts from Western Europe, down through West Africa and then around Cape Town to cross the Indian Ocean. From here, ships may visit the Middle East and Indian Subcontinent, before venturing to Southeast Asia. Seabourn promises new itineraries for its small yet extremely luxurious ships. More ports in western and southern Africa open up cruisers to the continent’s extensive folklore, safaris, the Garden Route, and game parks. 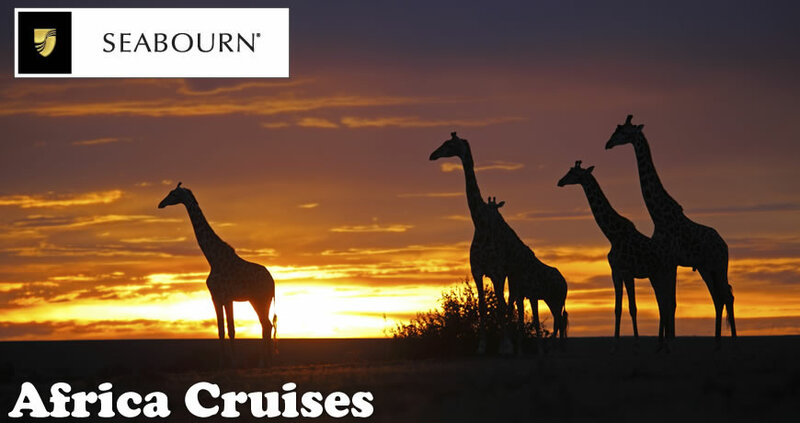 The Seabourn Sojourn makes all cruises to Africa. As one of the cruise line’s newer vessels, it debuted in 2008 and is considered one of the most luxurious ships to ever be created. Ample room defines the experience on board. 225 staterooms come with elegant accommodations, while the vessel itself offers a fold-out marina for water sports, four restaurants, six bars and cafes, and exclusive British theater productions. From Western Europe: Beginning in Western Europe, this ship offers the most comprehensive tour of Africa. Seabourn begins with the northern region, stopping in centuries’ old commerce ports immortalized in pop culture, like Gibraltar, Tangier, and Casablanca. Making its way down West Africa, the Sojourn takes a brief detour into the Atlantic before visiting ports dating back centuries. Africa’s grand empires emerge in Dakar, Banjal, Bom Bom Island, and Luanda. Africa’s climate and culture transform once you go south of the Equator, with Walvis Bay being the gateway to Namibia’s expansive deserts and exotic wildlife. From here, Seabourn explores the many ports lining South Africa’s coasts, from major cities like Cape Town to those on the east coast near the Zulu homeland. After stopping in Madagascar, the ship then ventures across the Indian Ocean. African Holiday: These shorter, most focused African cruises visit the ports lining the continent’s southern region. From Cape Town to Mapulo, Mozambique, you’ll see South Africa’s beaches, wildlife, European influence, and Zulu homeland at the ports in between. South Africa to India and Southeast Asia: Seabourn lets you into the world of South Africa and Madagascar, before whisking travelers off to ports in South and Southeast Asia. From Cape Town, you’ll visit Mossel Bay, Port Elizabeth, East London, Durban, and Tolanaro, before sailing across the Indian Ocean. 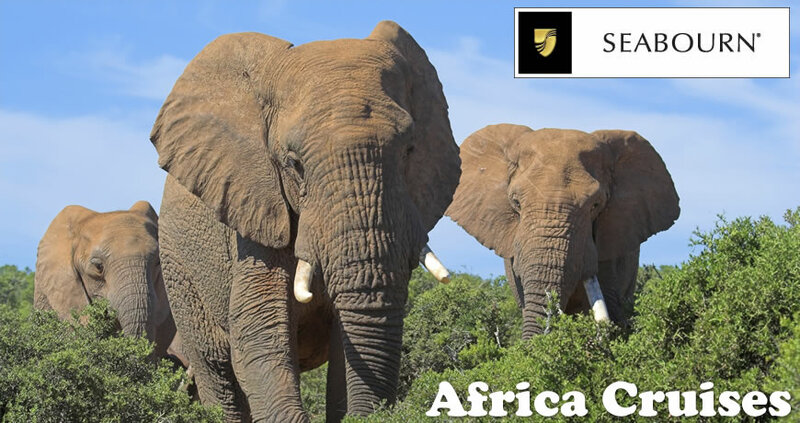 Get a close, comprehensive look at Africa, all while seeing it onboard one of the world’s most luxurious cruise ships, through Seabourn. Browse through itineraries and then book your trip today through Direct Line Cruises.